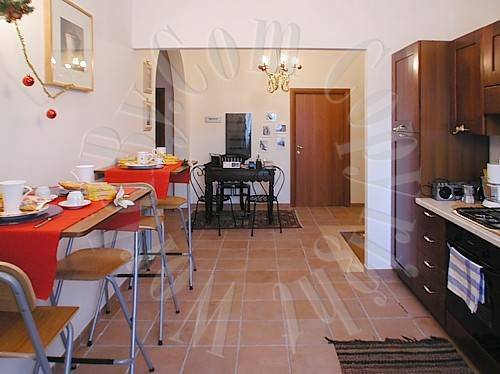 The apartment, which is on the 4th floor and has an elevator, has been completely renovated, and the owners speak Italian, English, French, Spanish, Portuguese and Arabic. ATTENTION: IF THE ROOM YOU NEED IS NOT AVAILABLE ONLINE IT DOESN'T MEAN IT IS NOT AVAILABLE. PLEASE SEND AN ONLINE REQUEST (NO CHARGE). YOU WILL RECEIVE A RESPONSE WITH THE BEST RATE. Warning: Please when you reserve specify the time of your arrival or do it afterwards by e-mail. 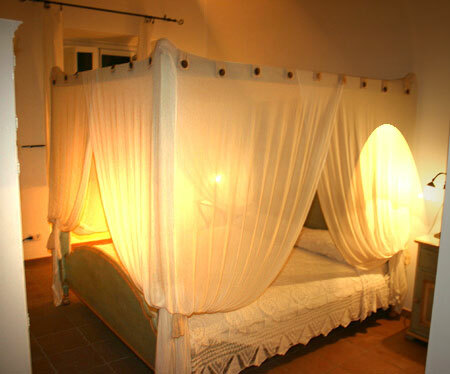 This is necessary to be welcomed without hitches, as there is not a concierge night and day. The comfortable rooms are all equipped with air conditioning, colour TV and bedlinen. All rooms have a private bathroom with a large shower, heated towel rail and hairdryers. There is no charge for children under the age of four and a cot can be provided for babies - please request this when booking. The rooms are cleaned on a daily basis. A bright lounge is available for breakfast which is self-service and guests are welcome to make coffee, hot chocolate, milk or tea whenever they wish so that they can rise at whatever time desired. 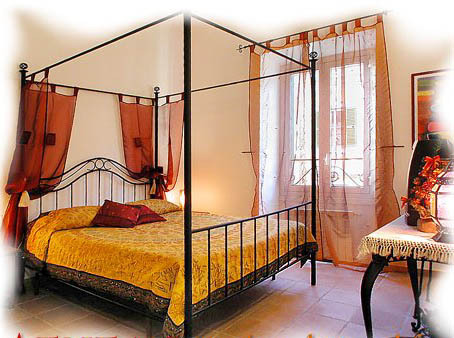 AENEAS B&B is in the historic centre of Rome and its ideal location enables visitors to tour the city without a car. In few minutes you can reach the Colosseum, Domus Aurea, Fori Imperiali, Piazza Venezia, Fontana di Trevi, Campidoglio. The Spanish Steps, the fashionable via dei Condotti, via Frattina, Piazza del Popolo, the most ancient churches, the major museums, the theatres and all the best the eternal city can offer are all close by. The building is a few steps away from Termini central station where the underground and bus lines link visitors with the streets, the squares and the best venues to experience roman nights .